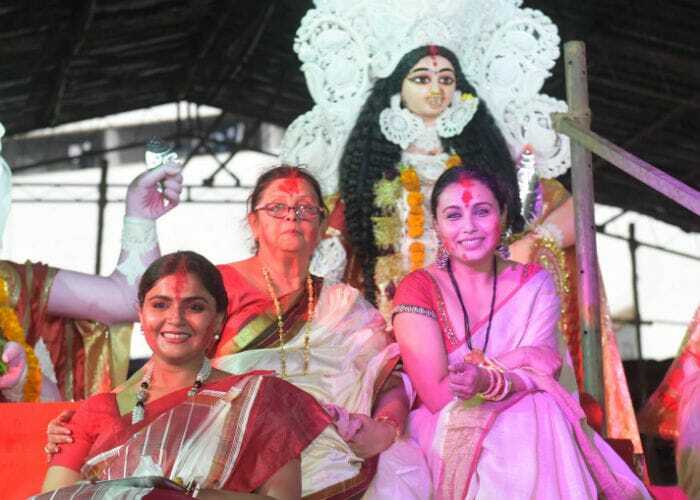 Rani Mukerji at a Durga Puja pandal on Vijayadashami. 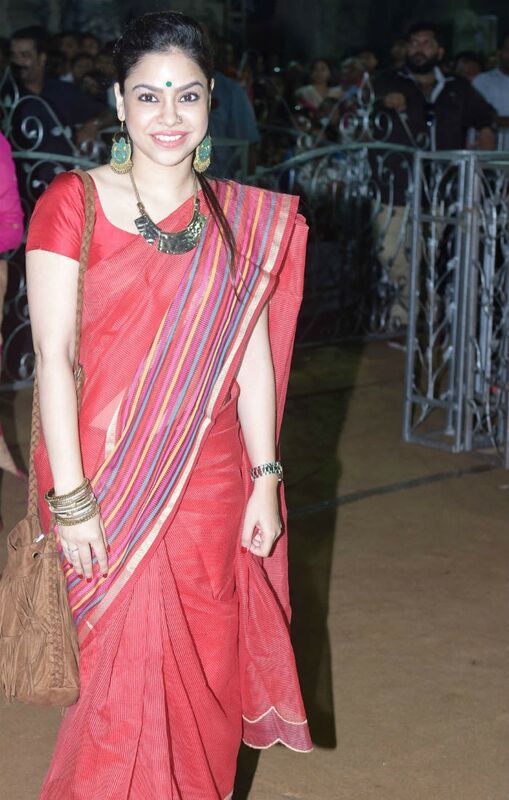 The Durga Puja celebrations have been in its full swing. 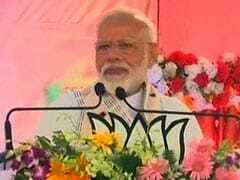 Right from Mahalaya that marks the beginning of the festival to Navami (ninth day of celebrations), we celebrate the festival with great pomp and show. Yesterday, on Vijayadashami, we bade-adieu Goddess Durga, with a promise to welcome her again next year. 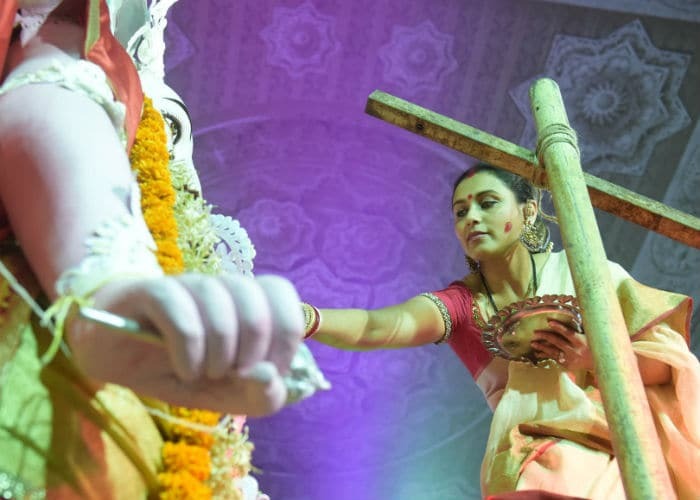 Actress Rani Mukerji, who has been rejoicing in the festivities of Durga Puja, celebrated Vijayadashami with 'Sindur Khela' yesterday at a Durga Puja pandal in Mumbai. 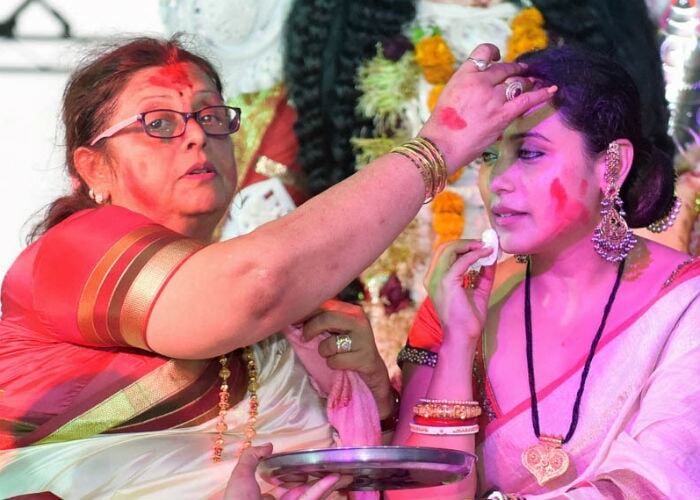 In this ritual, married women put on sindur or vermilion on Maa Durga's forehead and feet and thereafter they apply it on other married women present around them. 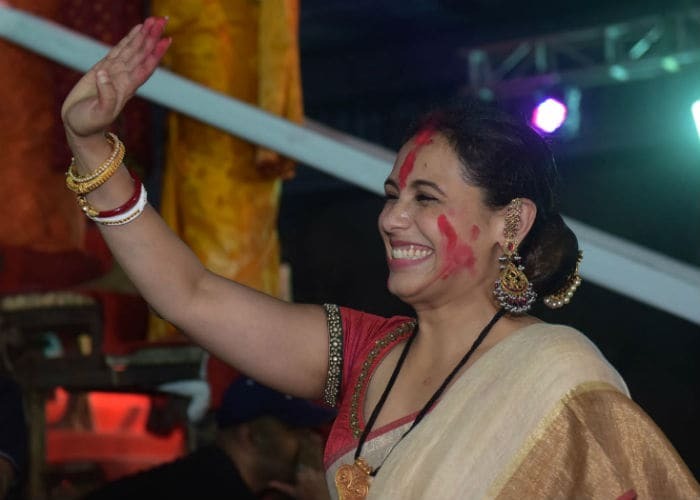 The 39-year-old actress was all smiles and looked elated in a traditional Bengali sari while she played with sindur with other married women. 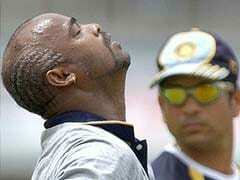 Rani also bade goodbye to Lord Ganesha. The rituals for this day begins with Maha Aarti, where a shitala bhog is offered to the Goddess. 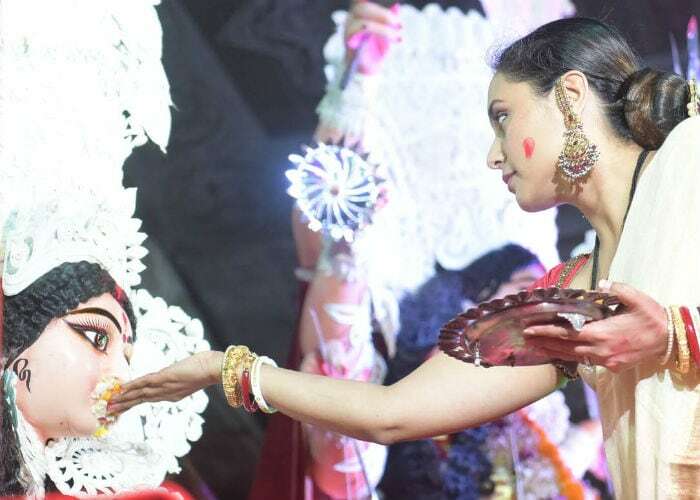 Rani also offered the bhog to Maa Durga. 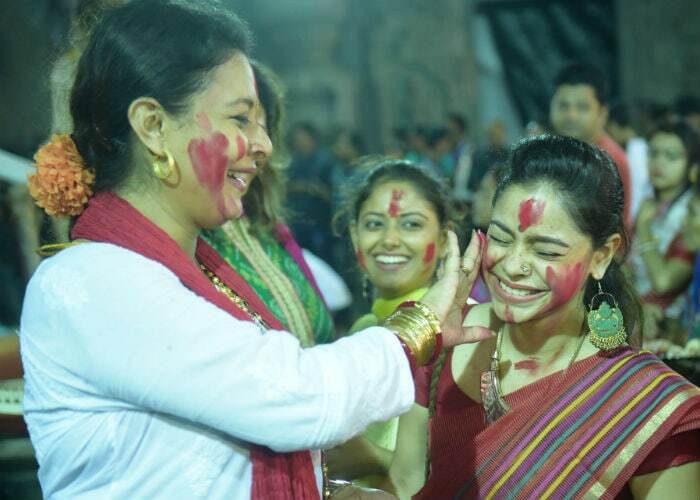 TV actress Sumona Chakravarti was also present at a Durga Puja pandal yesterday and enjoyed the celebrations. After Sindur Khela, Maa Durga's idol is carried out of the pandal for the immersion or Visarjan in the river. Towards the evening, people gather again one last time to wish each other Shubho Bijoya (Happy victory). 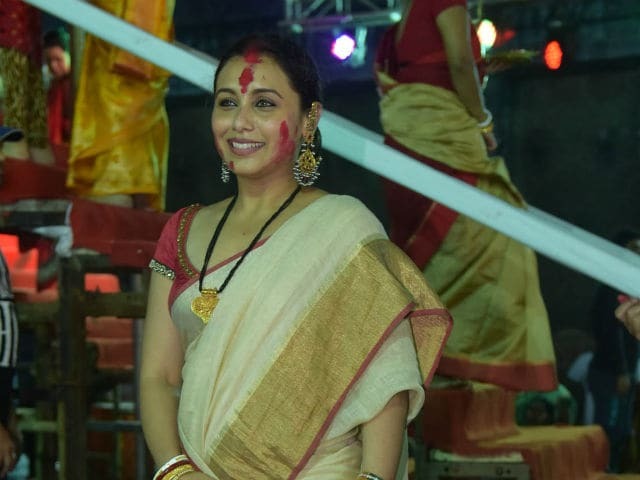 Meanwhile, Rani Mukerji, who is married to Yash Raj Films boss Aditya Chopra, will be next seen in Hichki. 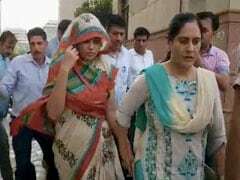 The couple are parents to daughter Adira, 1. Rani Mukerji was last seen in Pradeep Sarkar's Mardaani.